Graceful flexible ballerina dancing on her pointe ballet shoes in spotlight on black background in studio. Girl shows classic ballet pas wearing tutu and pointe shoes. Flexible girl dancing on her pointe ballet shoes in spotlight on black background in studio. Professional young ballerina shows classic ballet pas wearing tutu and pointe shoes. 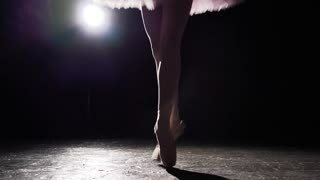 Professional graceful flexible ballerina dancing on her pointe ballet shoes in spotlight on black background in studio. Woman shows classic ballet pas wearing tutu and pointe shoes. Professional flexible ballerina dancing on her pointe ballet shoes in spotlight on black background in studio. Woman shows classic ballet pas wearing tutu and pointe shoes. Black and white shot. Graceful flexible girl dancing on her pointe ballet shoes in spotlight on black background in studio. Professional ballerina shows classic ballet pas wearing tutu and pointe shoes. Professional flexible ballerina dancing on her pointe ballet shoes in spotlight on black background in studio. Ballet dancer shows classic ballet pas wearing tutu and pointe shoes. Slow motion. 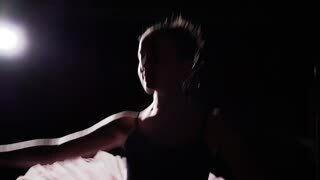 Pretty young and graceful ballerina dancing on her pointe ballet shoes in spotlight on black background in studio. Woman shows classic ballet pas wearing tutu and pointe shoes. Slow motion. Graceful flexible ballet dancer dancing on her pointe ballet shoes on black background in studio. Ballerina shows classic ballet pas wearing tutu and pointe shoes. Slow motion. Graceful ballerina dancing on her pointe ballet shoes in spotlight on black background in studio. Woman shows classic ballet pas wearing tutu and pointe shoes. Slow motion. 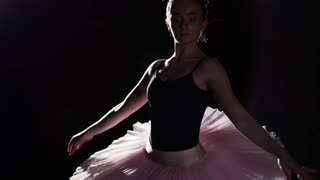 Young and graceful ballerina dancing on her pointe ballet shoes in spotlight on black background in studio. . Woman shows classic ballet pas wearing tutu and pointe shoes. Slow motion. 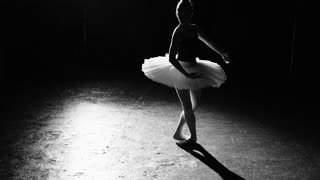 Graceful young flexible ballerina dancing on her pointe ballet shoes in spotlight on black background in studio. Ballet dancer shows classic ballet pas wearing tutu and pointe shoes. Slow motion.